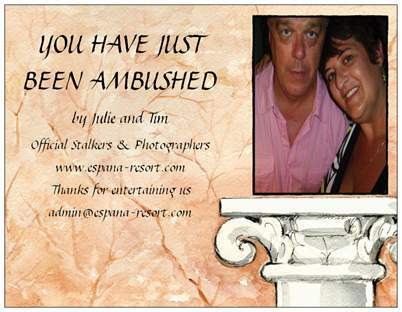 Are the official espana-resort.com Stalkers. In fact so infamous have they become that the artists in Benidorm actually look out for them and hope they will get a coveted ‘got yer’ card. Lets face it if your good then our stalkers want to find you. We just love writing rave reviews that will not only help artist get noticed but will also help our readers to decide where to go and who to see. From time to time Tim also writes reviews for us, a selection can be found on this page with links to the review..
We would like to thank all the stars of the clubs for agreeing to have their photos taken with us and for spending a few minutes of their time for a chat. 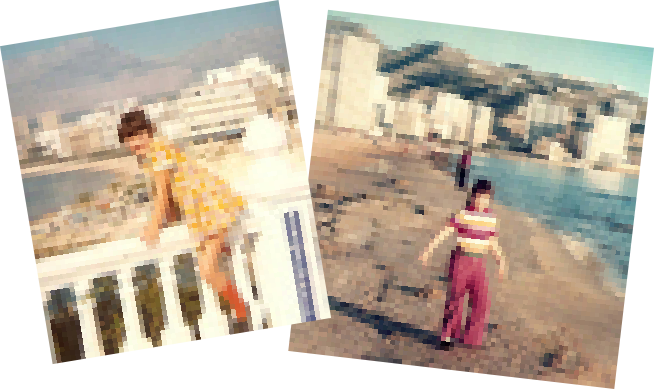 Meeting all our favourite acts (and some new ones) is the best part of our holidays to Benidorm.